I am proud to welcome Karen Wilhelm, who blogs at Lean Reflections, to our Meet-up. She has been a dear friend for several years. We met online through LinkedIn but have worked together for a couple years in promoting AME's mission online. Karen is a frequent contributor to AME's Target magazine. She is a wonderful lady with a passion for helping others. 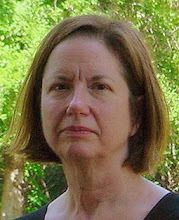 I am Karen Wilhelm, a freelance writer, thinker, and blogger. I write articles and web content for business audiences, particularly in the realm of lean. In the mid-80s, my husband was a contract programmer at a tier one auto supplier. They were rewriting some of their MRP application because the customer wanted to do something called JIT. Interesting. Maybe there was hope for our Detroit automakers to finally learn how to make better cars and measure up to the new Japanese companies in the market. Living in Detroit, a lot of my future rode on what happened at the Big Three. When cars are selling, life's good in the Motor City. Just about then, I joined the publishing staff of Society of Manufacturing Engineers and found that we were reselling some of the earliest books of Shingo and Ohno in English, thanks to Norman Bodek and Productivity Press. Talk about just in time! My curiosity was aroused then and I have not stopped learning since. Most organizations, like the one I worked for at the time, do not understand what it means to bring lean into what they do. I had been talking about lean for many years and people were tired of hearing about it. Then I heard about Blogger. It was a perfect match. I could put all my musings and rantings about lean on the blog and if anyone actually wanted to hear them, they could. My title "Lean Reflections" shows that I take what I learn, think about it, and then share it. There are lots of definitions out there, all true, but most falling short of what 25 years of absorbing lean ideas has defined for me. It is all-encompassing, a feeling that anything can and should be better than it is, and that there are ways for people to make that happen. The closest I come is the idea of "kaizen mind," which hit me like a ton of bricks when I first read it. The author -- darn it, I can't remember his name -- wrote that a kaizen is fine, but the improvement is not the important outcome. The result is the thinking that is subtly changed every time someone engages in improving something, so it becomes a habit of thought and action. That only really happens in an organizations where leaders have the kaizen mind, and foster it in all the other people who work for the organization's purpose. It's not the tools, it's the thinking. The biggest myth, and barrier to its real value, is that lean is a way to save money. Saving money is a byproduct of a strategic development (more than an "implementation") of lean in an organization. Profit is a goal, but it will come from better processes and flow, not from random cuts and "efficiencies." I am intrigued and excited about lean entering the supply chain management community. To see businesses -- and not just manufacturers -- as networks, adding value cumulatively, pulled by customer needs and wants, evolves from seeing lean confined by the four walls of a single plant or workplace. Within each node, and between each node, is improvement waiting to happen. The network view touches every function in every extended value stream and finds better ways to connect. Curiosity, learning, and knowledge are my favorite things, and I am grateful for all I have gained from all my lean friends over the years. They are people who do lean, who get in the middle of real processes and activities and help people make them better. I often wish I could do what they do. But my journey has made me an observer and an interpreter, so I hope that I spark ideas -- and even dreams -- by writing about lean.